Copyright is a protection given to authors, copyright owner and performer of their copyright work and performances as prescribed under the Copyright Act 1987. A patent is an exclusive right granted for an invention, which is a product or a process that provides, in general, a new way of doing something, or offers a new technical solution to a problem. 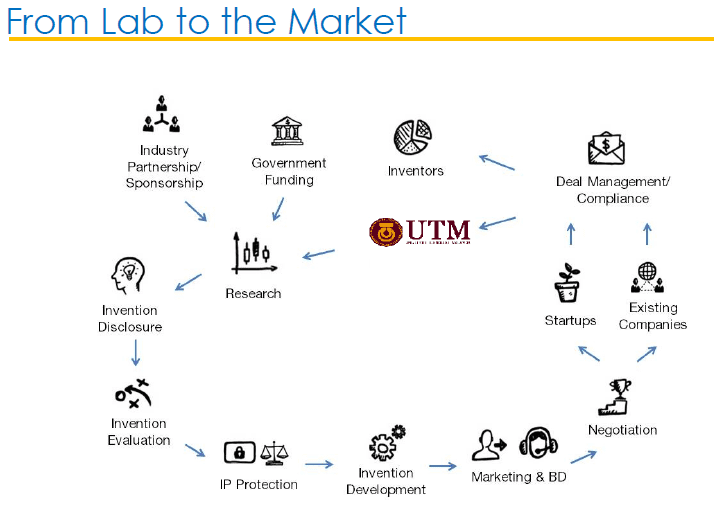 A utility innovation is an exclusive right granted for a “minor” invention which does not require to satisfy the test of inventiveness as required of a patent. A ttrademarkis a sign which distinguishes the goods and services of one trader from those of another. A mark includes words, logos, pictures, names, letters, numbers or a combination of these. An industrial design is the ornamental or aesthetic aspect of an article. The design may consist of three-dimensional features such as the shape and configuration of an article, or two-dimensional features, such as pattern and ornamentation. The design features must be applied to an article by any industrial process or means of which the features in the finished article appeal to the eye.